Dish it Out returned to please the hungry crowds on October 23rd. 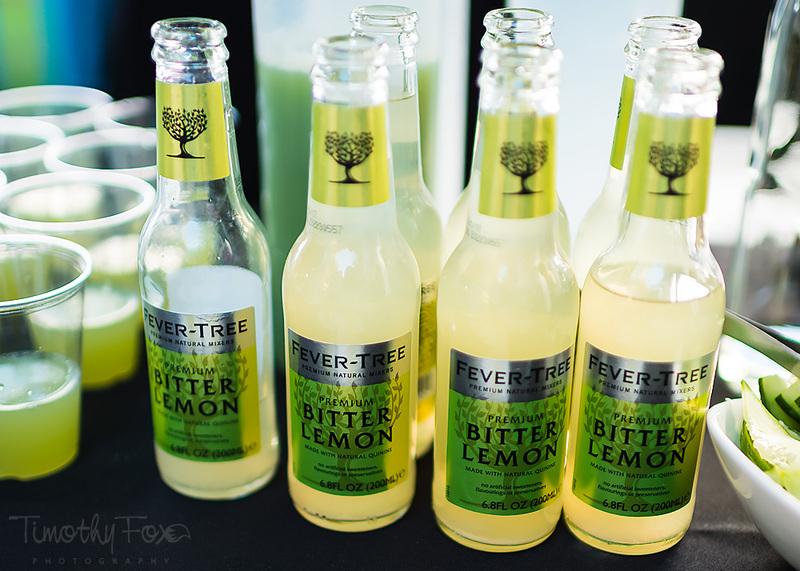 This popular culinary event and its generous sponsor Fry's Food Stores turned High Street into a festive scene as more than 3000 people sipped and sampled through the 45+ restaurants and beverage vendors. 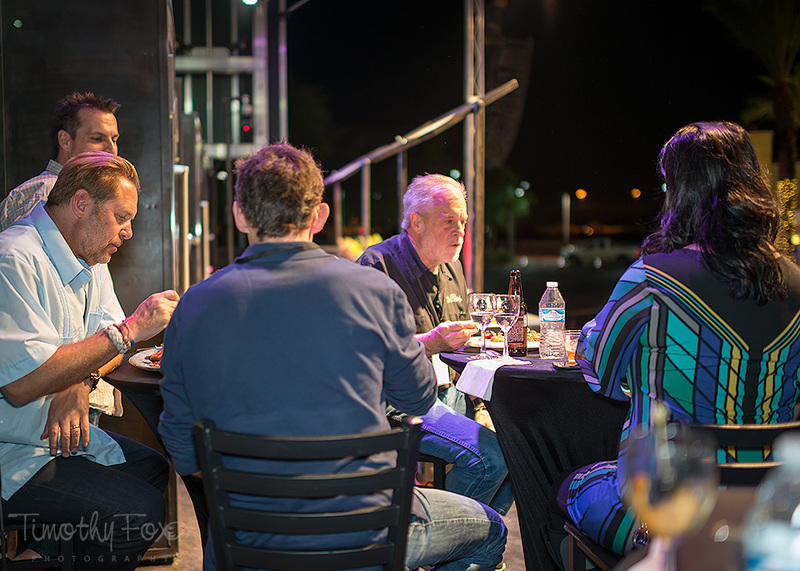 The attendees also enjoyed live entertainment on this warm fall evening, knowing that they gathered for a good cause as all proceeds benefitted the Boys & Girls Clubs of Metro Phoenix. The highlight of the event (and my favorite part since I am a judge!) 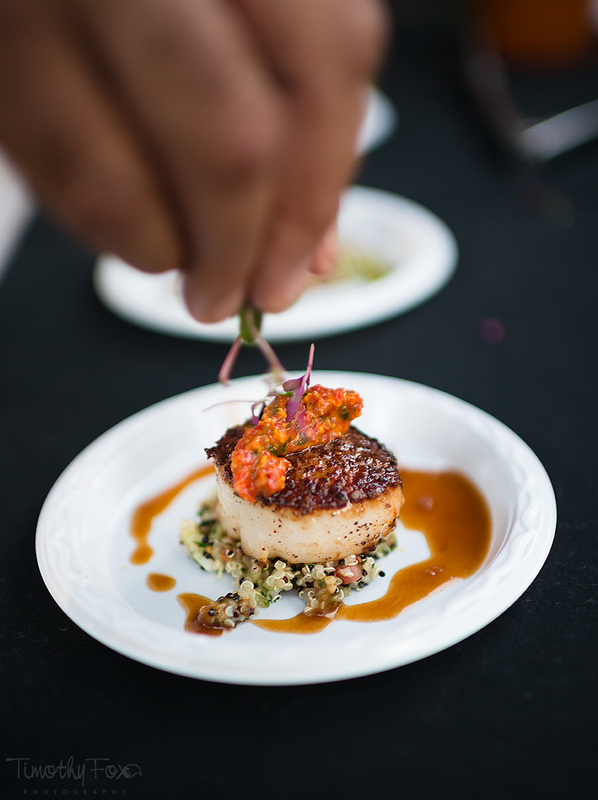 is the Dish it Out Chefs Competition (see last year's recap). 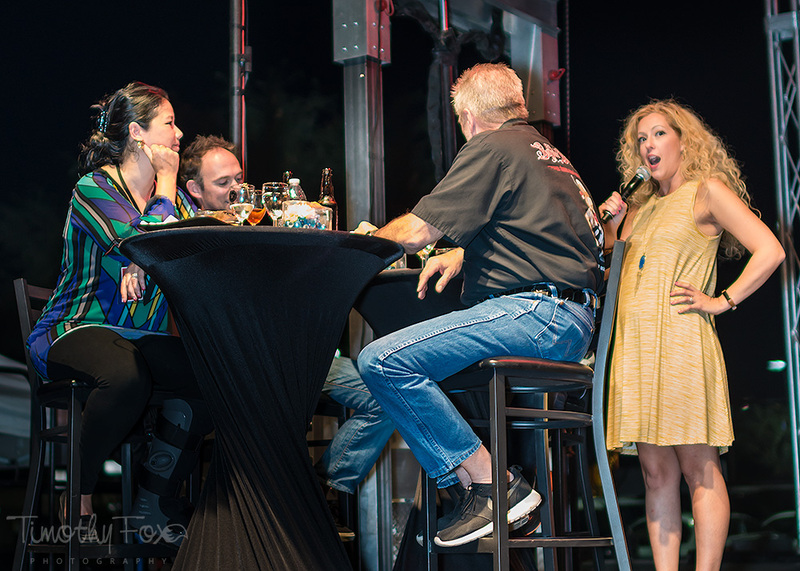 This year it was emceed by the entertaining duo of Bruce St. James and Pamela Hughes from The Bruce St. James & Pamela Hughes Show on 92.3 KTAR. I was joined by my fellow judges, James Beard award-winning chef Robert McGrath and David Tyda and Rick Phillips of Bootleggers restaurants and co-founders of Affordable Food Festivals. Once again, the chefs brought their A-game and were ready to battle. 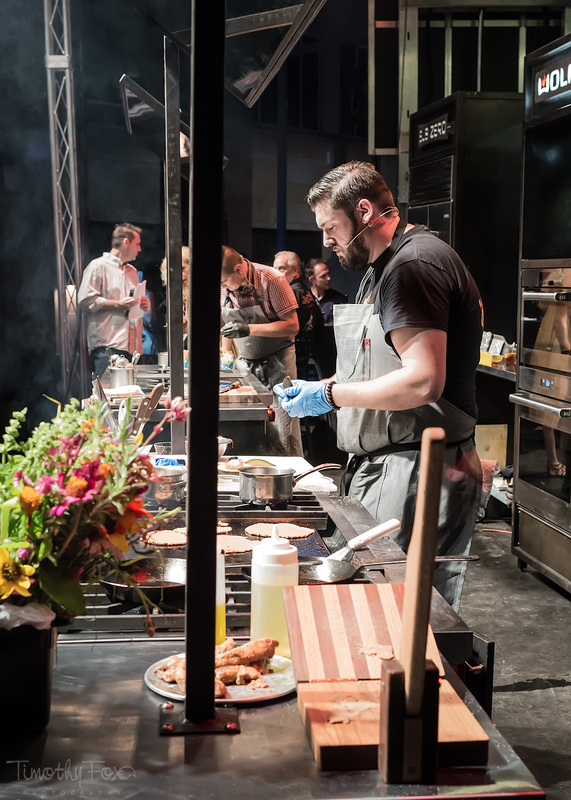 Two chefs faced off in 20-minute rounds, ending with the third featuring the winners from rounds one and two. These talented gents brought a lot of discussion to our table and certainly didn't make choosing easy for us. Here were their creative, delicious dishes. First to go head to head were Gregory Wiener, formerly of Top of the Rock, and Jason McGrath of Second Story Liquor Bar. Chef Wiener delighted us with a colorful presentation of steelhead trout tartare with ponzu gelée, ginger pearls, and avocado served two ways. 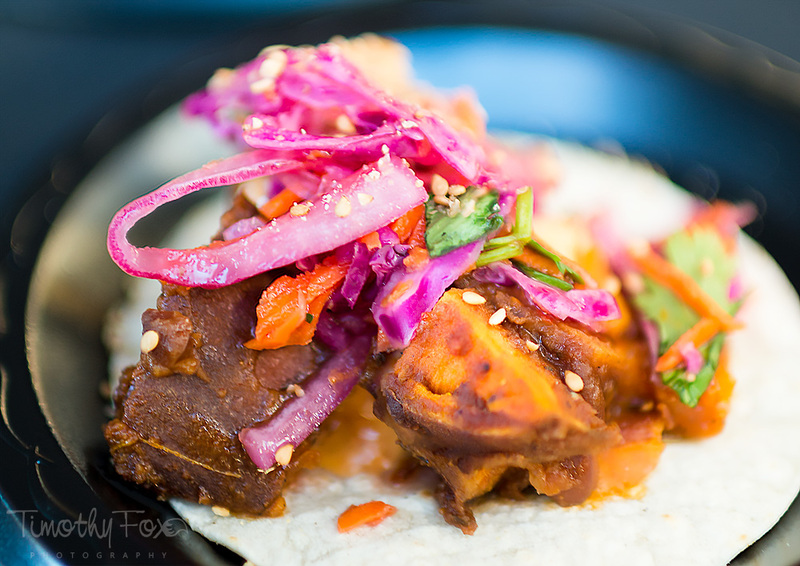 Chef McGrath ambitiously made his tamarind tortillas from scratch and although he didn't complete his dish of a rabbit taco with guasacaca, "pico de gallo-infused" tomato, pickled purple carrots, grilled i'itoi onion, radish, and cotija, majority rule gave him the slight edge because of his standout white masa and pepita-crusted rabbit. Round two saw Gio Osso of Virtu Honest Craft and Nico Heirloom Kitchen cooking against reigning champ Chris McKinley of soon-to-open Chico Malo. Chef Osso certainly spoiled the judges with foie gras in four brilliant and decadent preparations, accompanied by a glass of vin santo. Chef McKinley's simple-appearing pasta belied its medley of flavors with handmade garganelli with celery root burro fuso, smoked pork jowl ragu, whipped ricotta, fennel pollen, and fresh oregano. Another lively discussion ensued, with the win going to Chef Mckinley for a flawless pasta dish. This brought chefs McGrath and McKinley to round three, and these friends and colleagues were ready to go. Chef McGrath introduced us to "The Local," a signature dish at SSLB using Arizona-grown ingredients. For the judges this meant farm-fresh vegetables including moringa beans, I'itoi's onions, and pattypan squash, carrot and green tomato puree, sweet potato chips, hibiscus and bee pollen. Chef McKinley also made vegetables the star with his farmer's market dish of pan-seared squash and whole and shaved carrots on a bed of farro risotto with leeks and braised oxtail marmalade. And the winner was...Chris McKinley for the second year! Congratulations to Chef Chris, who now has two championship belts to display. 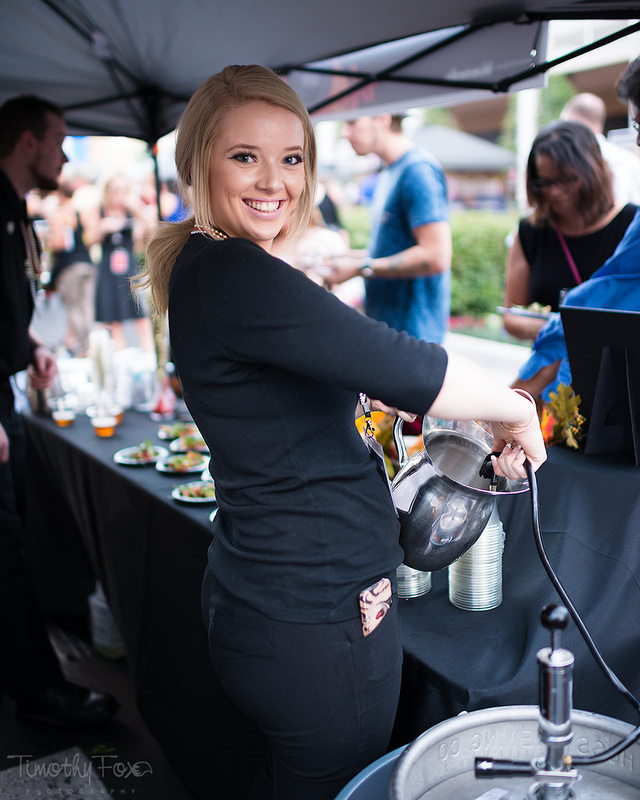 Dish it Out is one of my favorite culinary events for all the reasons above, and truly a can't-miss event. See you next year!